You know that someone may have seen you or a loved one commit a crime, so you decide to go over and speak to that person and help them understand it was a mistake. “You didn’t see what you thought you saw,” you tell them. “Do me a favor and don’t say anything,” you ask of them. Well, you’ve just put yourself in jeopardy of being charged with a misdemeanor or felony crime for dissuading a witness. California Penal Code Section 136.1 PC states that any person who knowingly and maliciously prevents or dissuades any witness or victim or attempts to do so from attending or giving testimony at any proceeding, or making any kind of report that would lead to any kind of criminal action being taken can be charged with the crime of dissuading a witness. Even if your attempt at dissuasion or intimidation failed and nobody was injured, you could still be convicted of this crime. Dissuading a witness is a wobbler offense, meaning it could be charged as a misdemeanor or a felony. If you are convicted of misdemeanor dissuading a witness under PC 136.1, you face up to six months in county jail and a fine of up to $1,000. If you are convicted of a felony for dissuading a witness, you face 16 months, 2 or 3 years in state prison. If you are convicted of dissuading a witness and the crime was a felony because any of the elements above were involved, the crime is punishable by 2, 3 or 4 years in state prison. The act was done for financial interest. Our team of attorneys knows the best possible defenses to a dissuading a witness charge in California. No intent – There was no intent to dissuade or prevent a witness or victim from testifying or otherwise aid criminal prosecution. If you were talking about how “snitches get stiches” to another person, but did not know that other person was a witness or a victim of a crime, then you did not knowingly dissuade or prevent this person. There was no maliciousness – Under California Penal Code Section 136.1(a)(3), you cannot be convicted of dissuading a witness if you are a family member of the victim who interceded to protect that person. In this case, there was no maliciousness involved and you cannot be convicted of this crime. What if the intimidation didn’t work and that person went and testified without any fear of doing so? You could still be convicted of this crime if you made an attempt to dissuade a witness. Your attempt doesn’t have to be a successful. What if I expressed to a witness/victim how upset I was that they gave testimony or cooperated with criminal prosecution? If it is accompanied by some kind of threat, such as “I should have killed you” or “I’m going to get some guys together and find you because of what you did,” it can still be considered trying to dissuade or prevent any future testimony or cooperation with criminal prosecution. What if I just held, or hid a cell phone from the witness/victim so they couldn’t call the police? Any act you take that would prevent or delay a person from being able to contact police can be considered preventing someone from testifying or cooperating with criminal prosecution. This can include taking a phone, striking it from their hand, or refusing to give it to them after they make it clear they are going to contact the police. What if I’m just passing the message along from someone else, and I have nothing to do with the case? Both of you can be charged with dissuading or preventing a witness/victim from testifying or cooperating with criminal prosecution. What if I’m just standing next to someone else who made a threat against another person to keep them from testifying, but I didn’t say or do anything? It depends on the circumstances. If you make a verbal or physical affirmation after the other person threatened or commented towards the witness/victim against cooperating with criminal prosecution, it can be considered an attempt to dissuade or prevent. These can include saying “uh-huh,” or staring, posturing, or nodding when the threat or comment is made. Our attorneys are ready to fight on your behalf. Wallin & Klarich will be there when you call. If you or a loved one has been charged with dissuading a witness, you need to contact an experienced criminal defense attorney immediately. At Wallin & Klarich, our skilled attorneys have been successfully defending clients facing charges of dissuading a witness for over 30 years. 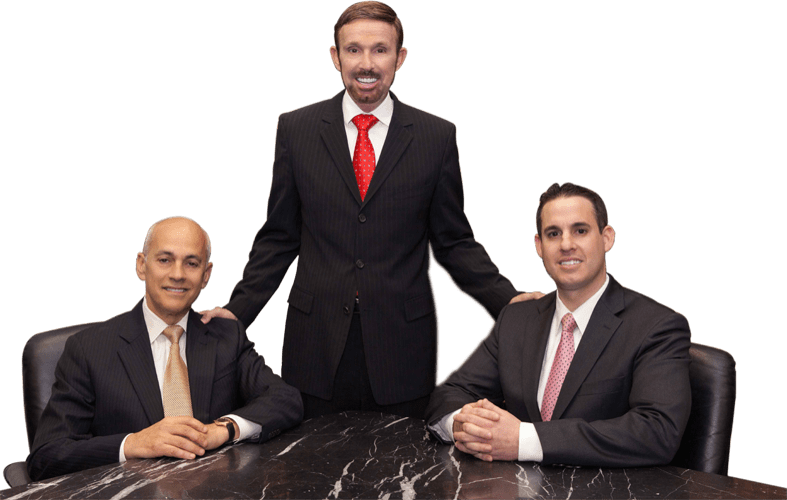 We will meet with you immediately to review the facts of your case, and plan a defense strategy that will help you get the very best outcome possible in your case.